In Episode 2 of 2019, third year Breeze Player Anthony McLean compares the 2019 Breeze to his 2015 and 2016 teams while singing the praises of Joe Richards and corgis. Enjoy! 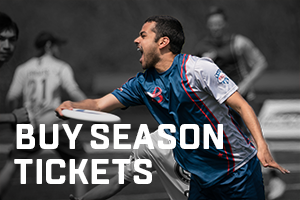 Catch the Breeze April 13 in their road opener on AUDL.tv, and then make sure to see them in person for their Home Opener April 20.